pertaining to your landscape. I hope that it is helpful to you! 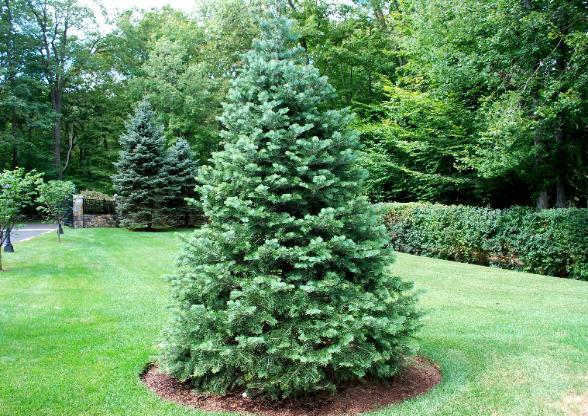 Concolor or White Fir "Abies Concolor"
trunk diameter of up to 2 m. It is popular as an ornamental landscaping tree and as a Christmas Tree. and a 20' spread in the home landscape. Full Sun is preferable. I planted this tree in the Spring of 2010. 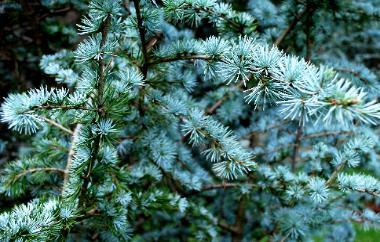 Blue Atlas Cedar "Cedrus Atlantica Glauca"
juniper. 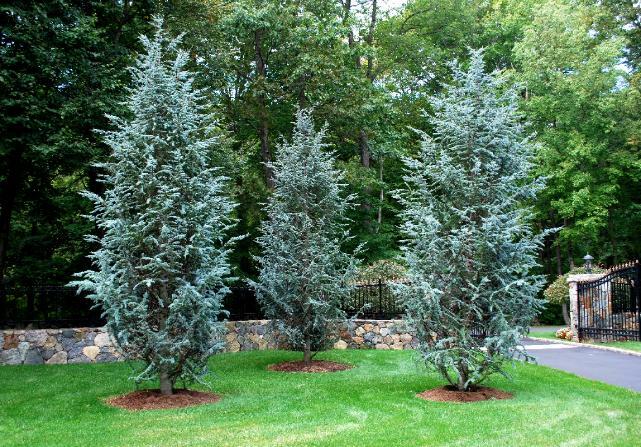 It's distinctively colored foliage makes it an interesting choice for planting as a specimen tree. USDA hardiness zones 6 through 9. 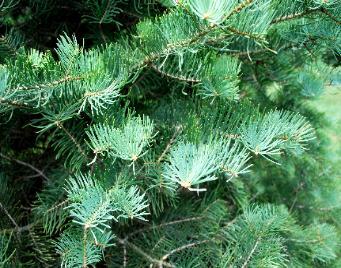 The tree tends to spread and needs considerable room to grow properly. twenty five to thirty feet wide in cultivation. I planted the three trees below in the Spring of 2010.